The 99 presents our Youth of the Year with a gift card! 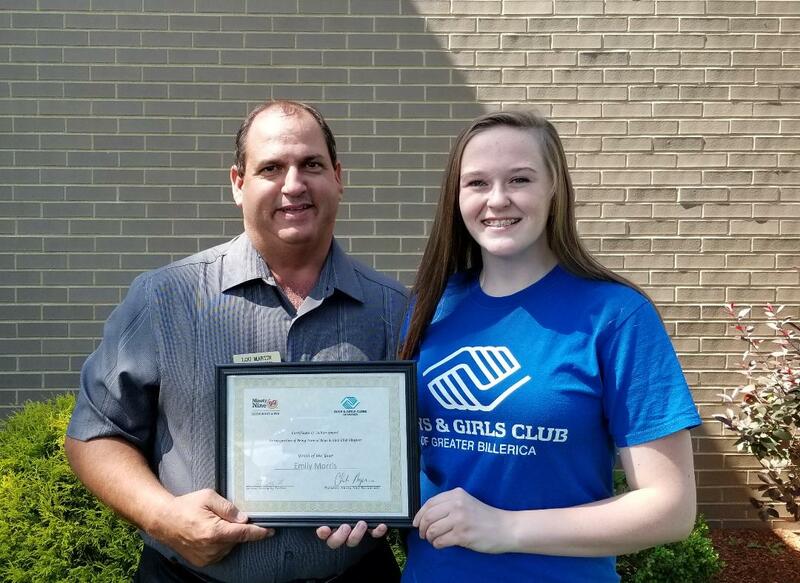 Lou Martin from the 99 Restaurant on Middlesex Turnpike, stopped by the Club to present our Youth of the Year Emily Morris with a congratulatory certificate, and a $99 gift card to 99 Restaurants. Thanks to the 99 for all you do for our kids!